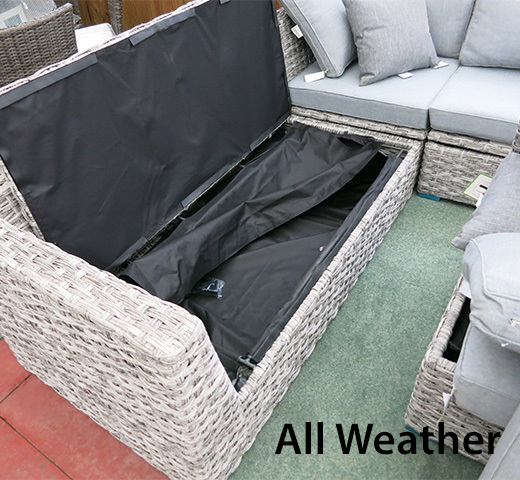 The problem with normal garden furniture is that it either requires maintenance over time, it requires storing inside during bad weather, or it requires a cover that often degrades and can get expensive. The main solution to this problem is to look for weatherproof or all weather garden furniture, which allows you to leave it outside all year round without the need for those maintenance jobs mentioned before. The best ones also have waterproof cushions, however this isn’t essential as the main part that degrades tends to be either the frame of the woven overlay materials. Also see our new article about using rattan furniture in your new conservatory. This is an important differentiation, and one you should take a note of before you purchase. If it says it’s only weather resistant, this does not guarantee it will survive harsh weather indefinitely. This is why we always recommend you go for something called weatherproof or all weather, and especially those that come with a guarantee on quality. 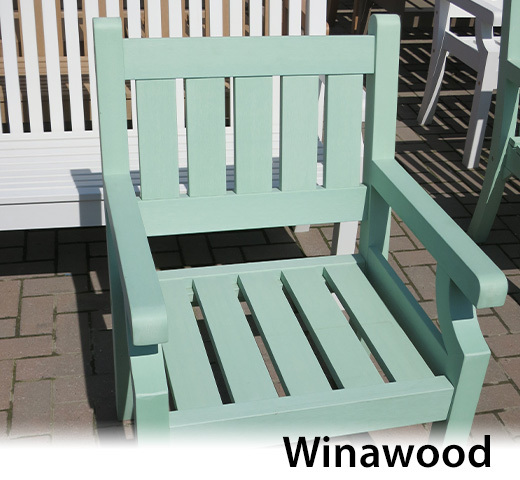 Winawood is a material made from a polymer of compressed plastics, creating a grain effect that looks natural, but has all the durable properties of man made garden furniture. It comes in teak, duck egg green, brown and white colours, and in a range of chairs, benches, coffee sets and dining sets. You can purchase online from various retailers, as well as in store from local garden centres. 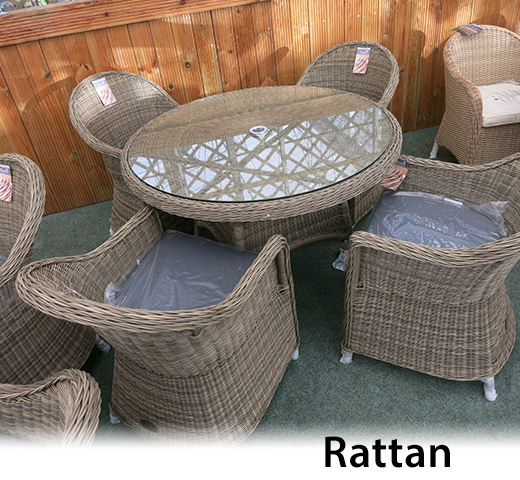 Rattan furniture that’s been UV stabilised and has an aluminium frame is the best weatherproof option for your garden. It won’t rot, fade or go brittle, and is proven to last many years without damage, looking brand new. It can be cleaned using a jet washer, allowing you to keep dirt out of the gaps between the hand woven rattan strips. Most of the time cushions will be included, and they are sometimes waterproof. For more information on all weather garden furniture, use our resource list below.